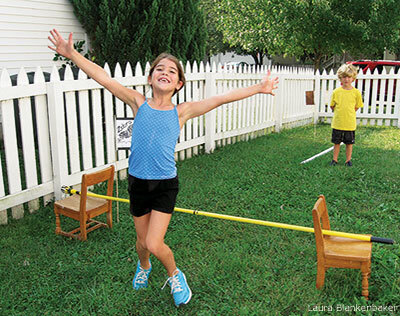 Have a ball in your backyard by planning your own Field Day! 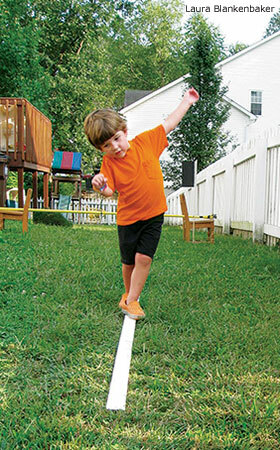 Use the 2×4 board or a piece of tape to create a balance beam. See if you can make it all the way across without falling off! Compete with your friends to see who can get across the fastest. Rest a broom or mop handle between the backs of two low chairs and use it as a hurdle. Get a running start and take a big leap over the hurdle! 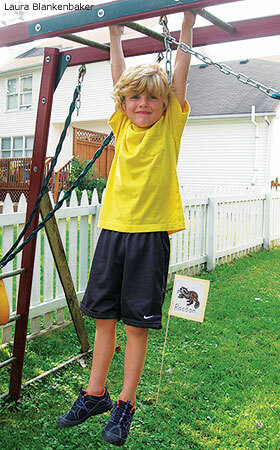 Use the monkey bars in your backyard or at a nearby park to practice pull-ups. How many can you do in a row? If you can’t do a pull-up, time yourself to see how long you can hang from the bar. Tug-of-War is everyone’s favorite Field Day event! 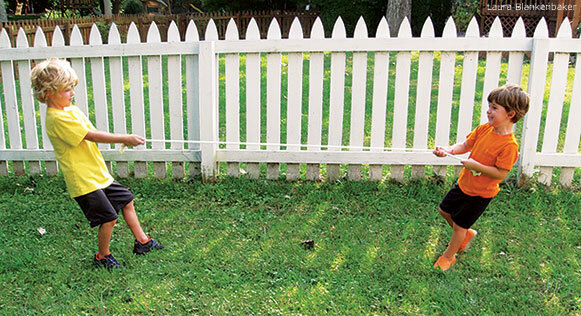 Hold one end of a smooth, heavy rope and have a friend hold the other end. Then start tugging with all your might until one person topples. You can also play in teams, with more than one person on each end of the rope. Mark off the starting line with a piece of string. 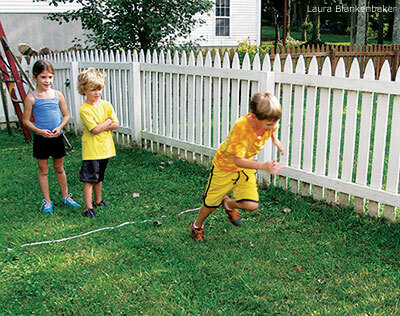 Decide where the finish line will be and mark it off with a flag or piece of string. Have someone be the referee and say “On your mark, get set, GO!” to start the dash. The ref will stand at the finish line and time everyone with a stopwatch. The person with the fastest time is the winner.